Semi-arid regions like north-central Namibia, are highly dynamic systems that experience variable and sometimes extreme climates, adverse environmental change, and a relative paucity of and decline in natural resources. Historically, people living in these regions have adopted several coping mechanisms to deal with these conditions. Today, however, many communities exhibit low levels of adaptive capacity due to challenges such as marginalisation, underdevelopment, poverty, inequality, weak governance, maladaptive policies, and increasing population growth. Climate change is expected to augment existing levels of vulnerability, as temperatures rise, rainfall decreases, and seasonal climate patterns become more variable. 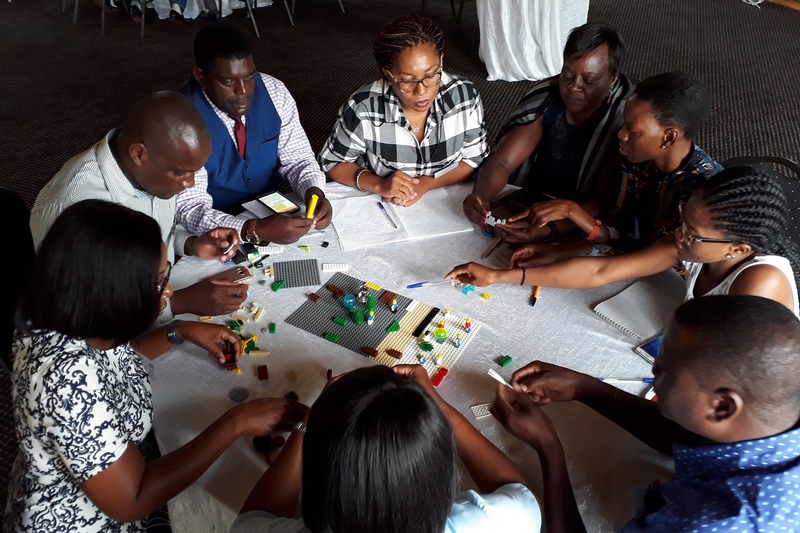 From 2014-2018, ASSAR’s Namibia team worked in the Onesi Constituency in the Omusati region of Namibia to better understand these existing and upcoming challenges. Made up of a team of researchers and practitioners from the University of Namibia, University of Cape Town, Oxfam GB and the Desert Research Foundation Namibia, we worked with stakeholders from national to household levels to understand what makes people vulnerable to climate change, what the barriers to adaptation are, and what could enable more effective, sustained and widespread adaptation to climate change. Adaptation policy approaches should consider that factors like gender, ethnicity, age, household composition, marital status, social capital, and class are important determinants of people’s vulnerabilities, and of their capacities to respond to climate risks and impacts. These intersecting factors need to be considered explicitly to enable the most marginalised to adapt. Building on Namibia’s decentralised water reform, water and drought governance could be strengthened if there was a better understanding of and support for local challenges. This could be partly achieved by increasing the awareness and willingness of decision makers to be more inclusive of the knowledge that community members and other marginalised groups provide, building the capacity of local actors to proactively engage in governance, and by providing more targeted support for managing water better at the village level. Improved collaboration – among government, non-governmental organisations, academia and communities – can lead to the production of climate and adaptation information that is reliable and relevant to local subsistence farmers. It can also ensure that this is disseminated to those who need it in a timely manner. By engaging with traditional and religious leaders, and considering their value systems, adaptation policy makers and practitioners can promote adaptation responses that work in conjunction with cultural and social norms. Doing so will assist in helping to reduce group-specific vulnerabilities. This should also be done on a case-by-case basis considering the implications of these social norms on gender equality and human rights more broadly. More long-term, targeted responses to climate change are needed. Government needs to support people’s livelihoods by building adaptive capacity, providing vocational training and jobs, and creating markets. These efforts must also lead to rural development processes that address water scarcity, food insecurity, and human development needs. ASSAR. 2016. A documentary on drought in Namibia by ASSAR. [Video]. Adaptation at Scale in Semi-Arid Regions (ASSAR). Link. ASSAR. 2017. Using Transformative Scenario Planning to think critically about the future of water for productive use in Omusati, Namibia. [Report] Adaptation at Scale in Semi-Arid Regions (ASSAR). Link. ASSAR. 2018. A quick guide to ASSAR in Namibia. [Output Catalogue]. Adaptation at Scale in Semi-Arid Regions (ASSAR). Link. ASSAR. 2018. Kati FM climate change radio show: Drought. [Radio]. Adaptation at Scale in Semi-Arid Regions (ASSAR). Link. ASSAR. 2018. Kati FM climate change radio show: Drought management. [Radio]. Adaptation at Scale in Semi-Arid Regions (ASSAR). Link. ASSAR. 2018. Kati FM climate change radio show: The value of livestock. [Radio]. Adaptation at Scale in Semi-Arid Regions (ASSAR). Link. ASSAR. 2018. Kati FM climate change radio show: Adopting new agricultural practices. [Radio]. Adaptation at Scale in Semi-Arid Regions (ASSAR). Link. ASSAR. 2018. Kati FM climate change radio show: Gender and climate vulnerabilities. [Radio]. Adaptation at Scale in Semi-Arid Regions (ASSAR). Link. ASSAR. 2018. Kati FM climate change radio show: What enables climate change adaptation in Namibia? [Radio]. Adaptation at Scale in Semi-Arid Regions (ASSAR). Link. ASSAR. 2018. Kati FM climate change radio show: The role of religion and tradition in climate change adaptation. [Radio]. Adaptation at Scale in Semi-Arid Regions (ASSAR). Link. ASSAR. 2018. Kati FM climate change radio show: Communicating climate change for adaptation. [Radio]. Adaptation at Scale in Semi-Arid Regions (ASSAR). Link. ASSAR. 2018. Planning for a harsher future. [Brochure]. Adaptation at Scale in Semi-Arid Regions (ASSAR). Link. ASSAR. 2018. Understanding climate change: An information manual for communities in Omusati. [Manual] Adaptation at Scale in Semi-Arid Regions (ASSAR). Link to English manual. Link to Oshiwambo manual. Angula, M., New, M. and Rao, N. 2018. 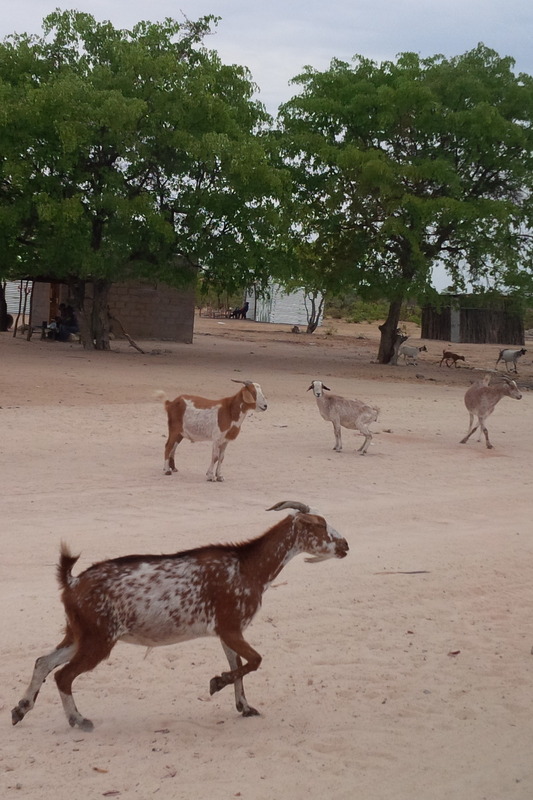 Changing culture, changing climate: How is the adaptive capacity shaped by the intersections of gender and ethnicity in a semi-arid rural setting, Namibia? [Poster] Adaptation at Scale in Semi-Arid Regions (ASSAR). Link. Davies, J. 2017. Climate change impacts and adaptation in north-central Namibia. [Information brief]. Adaptation at Scale in Semi-Arid Regions (ASSAR). Link to English brief. Link to Oshiwambo brief. Davies, J., Spear, D. Shalumbu, B. 2018. Namibia Country Narrative. [Poster]. Adaptation at Scale in Semi-Arid Regions (ASSAR). Link. Hegga, S., Siyambango, N., Angula, M., Spear, D., Masundire, H., Molefe, C. and Morchain, D. 2015. Stakeholder and influence network mapping exercise with the government, development and research actors in Namibia. [Report] Adaptation at Scale in Semi-Arid Regions (ASSAR). Link. Hegga, S. 2016. Mapping out stakeholder influence on the implementation of climate change adaptation in Namibia – Short report. [Report] Adaptation at Scale in Semi-Arid Regions (ASSAR). Link. Hegga, S. 2016. 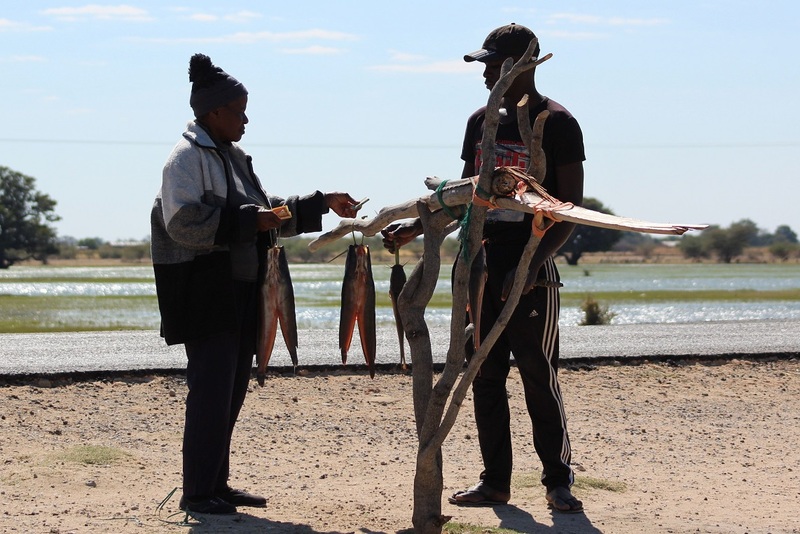 Vulnerability and risk assessment in the Onesi Constituency, Omusati Region, Namibia: Towards improving livelihood adaptation to climate change – Short report. [Report] Adaptation at Scale in Semi-Arid Regions (ASSAR). Link to English report. Link to Oshiwambo report. Hegga, S., Ziervogel, G., Angula, M., Spear, D., Nyamwanza, A., Ndeunyema, E., Kunamwene, I., Togarepi, C. and Morchain, D. 2016. Vulnerability and Risk Assessment in Omusati Region in Namibia: Fostering people-centred adaptation to climate change. [Report] Adaptation at Scale in Semi-Arid Regions (ASSAR). Link. Hegga, S., Kunamwene, I. and Ziervogel, G. In prep. Capacity of local level actors to participate in decentralised water governance: Insights from North Central Namibia. Link to presentation. Joubert, L. 2018. A climate of change for cash cows. [Web article]. Mail and Guardian. 18 March 2018. Link. Joubert, L. 2018. African small-scale farmers need more than just land to survive climate change. [Web article]. The Namibian. 31 May 2018. Link to The Namibian. Link to Mmegi Online. Joubert, L. 2018. Cattle are the currency in Southern Africa. [Web article]. New Era. 8 May 2018. Link. Joubert, L. 2018. Namibia: Lessons on community water management for semi-desert African countries. [Web article]. New Era. 26 April 2018. Link to New Era. Link to Mmegi Online. Joubert, L. 2018. Rural Namibia water management gives regional lessons. [Web article]. The Namibian. 22 March 2018. Link. Joubert, L. 2018. Water Usage Lessons from Namibia. Mail and Guardian. 18 May 2018. Link. Perez, T. 2017. Using Transformative Scenario Planning to think critically about the future of water for productive use in Omusati, Namibia. Adaptation at Scale in Semi-Arid Regions (ASSAR). Link to brief. Link to report.Link. Perez, T. In prep. Thinking differently about planning processes to enable climate change adaptation in Namibia and India. Link to summary. Spear, D. 2017. What Cape Town can learn from Windhoek on surviving droughts. [Web article]. The Conversation. 16 July 2017. Link. Ziervogel, G. and Hegga, S. 2018. Why ordinary people must have a say in water governance. [Web article]. The Conversation. 17 June 2018. Link.